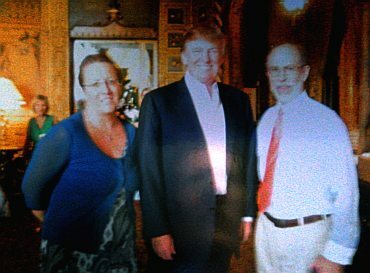 The photo above shows Elisabeth Sabaditsch-Wolff, Donald Trump, and Frank Gaffney at the launch of The United West in Miami, Florida on March 6, 2011. Although he wasn’t mentioned in any of our reports on the event, I remembered that Mr. Trump had attended, and I asked Elisabeth to look for the photo. She couldn’t find the digital original, so the above image was made by scanning a printout of the photo — hence the inferior quality. Donald Trump explored the possibility of a run at presidency the following year, but never really took it up in earnest like he did this year. More than five years ago — there’s been a lot of water under the bridge since then. Read more at Gates of Vienna.